An incredible meal makes the perfect gift. 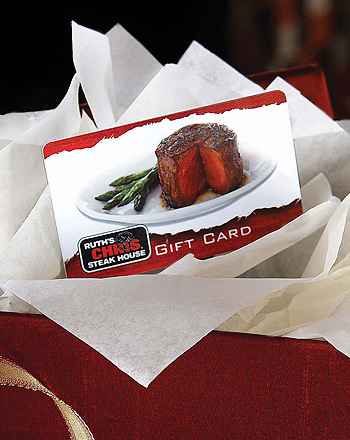 Give the gift that sizzles with a Ruth’s Chris Steak House Gift Card. Perfect for family, friends and colleagues to enjoy. Purchase on line or purchase with us in the restaurant. It’s validation that great things do come in small packages.